Dr. Romano Talks Ancient Athletics at Trinity! 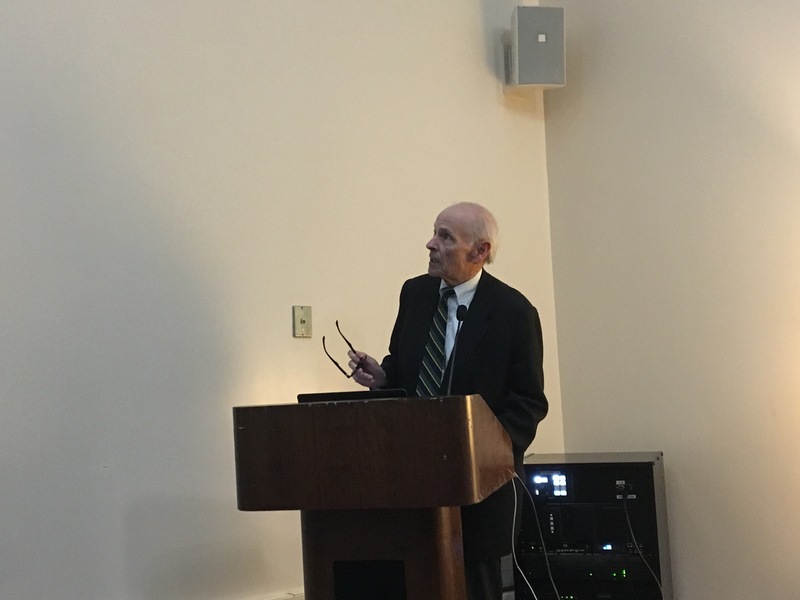 On Tuesday April 9th, Dr. David Gilman Romano, Nicholas and Athena Karabots Professor of Greek Archaeology at the University of Arizona, visited Trinity College to deliver an Archaeological Institute of America lecture. 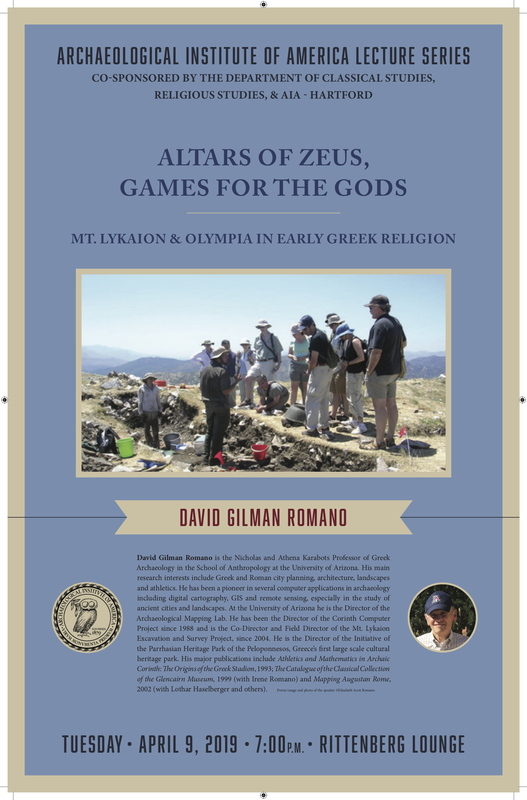 The title of Dr. Romano’s lecture was “Altars of Zeus, Games for the Gods: Mt. Lykaion and Olympia in Early Greek Religion.” Dr. Romano spoke to us about the decades of research he and his team have done at the ancient site of Mount Lykaion, a sanctuary in the Greek Peloponnese, near to the location of another site of athletic contests, Olympia. Dr. Romano spoke about his team’s excavations of Mount Lykaion, most strikingly the animal bones that they’ve found at the site (98% goat and sheep and 98% burned as sacrificial offerings!). From this research, they’ve concluded that Mount Lykaion site is older (perhaps by as much as 500 years!) than the nearby site of Olympia, and that there might be a link between the two sites, perhaps via the inhabitants of the nearby site of Palaiokastro. Thank you, Dr. Romano, for sharing your research with us! This entry was posted in Uncategorized on April 13, 2019 by vtomasso. ← Classical Studies Goes to the Theater! Classical Studies Goes to the Theater! Dr. Emily Wilson Talks the Odyssey at Trinity! Dr. Hanne Eisenfeld speaks about ancient athletes at Trinity! Justin Slocum Bailey speaks about Latin Pedagogy at Trinity!